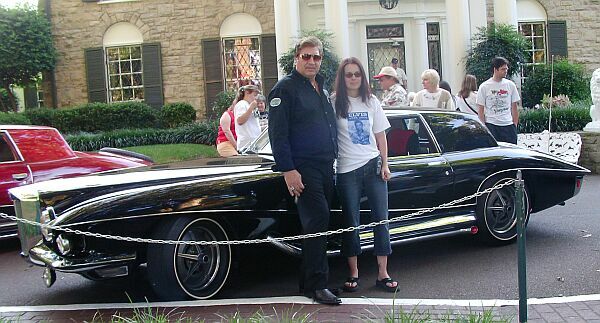 from Elvis Presley Enterprises, Inc., she helped us to make this photo-event happen. 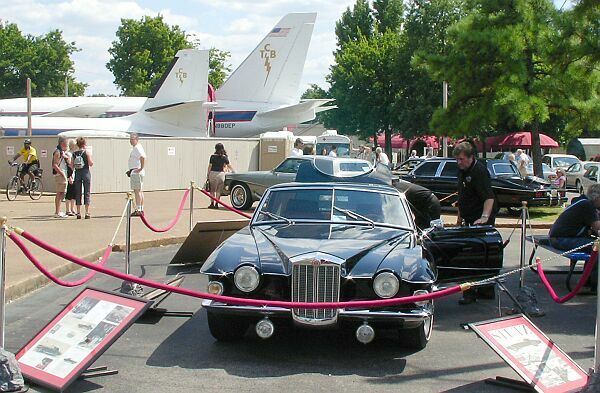 Still on Graceland, another photo, just before leaving. 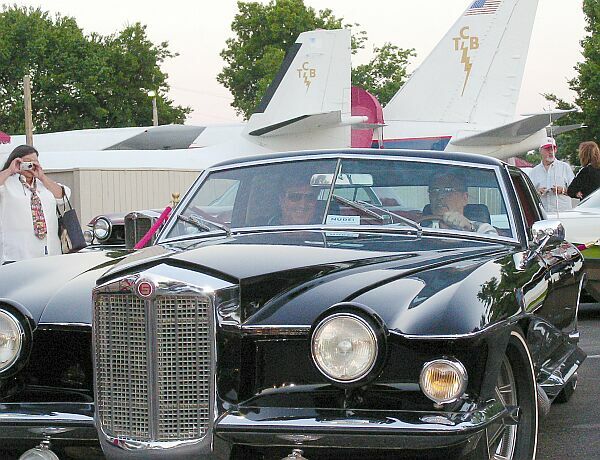 the background shows some other Stutzes, and Elvis aircraft "Lisa-Marie". 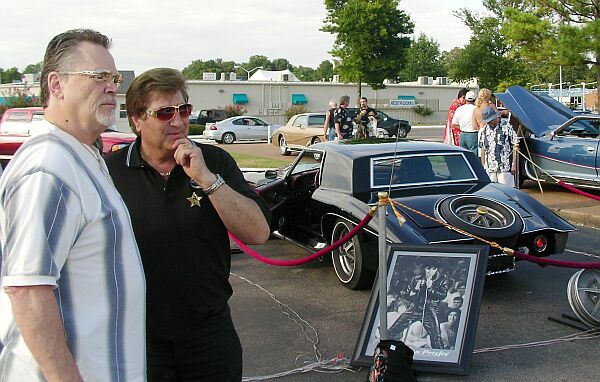 Sonny West, Elvis' bodyguard and Branko, looking at the other Stutz cars. 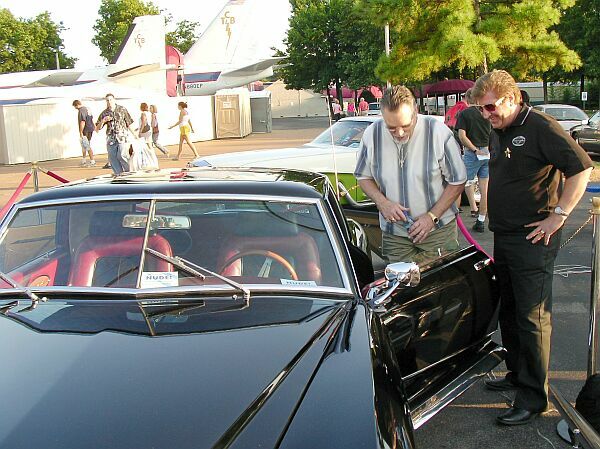 Sonny West, having a look at the only Stutz that is older than Elvis' prototype. 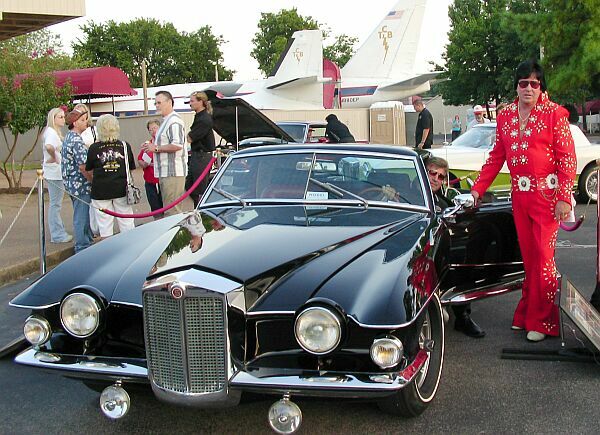 Of course, we had a lot of Elvises looking at the cars. 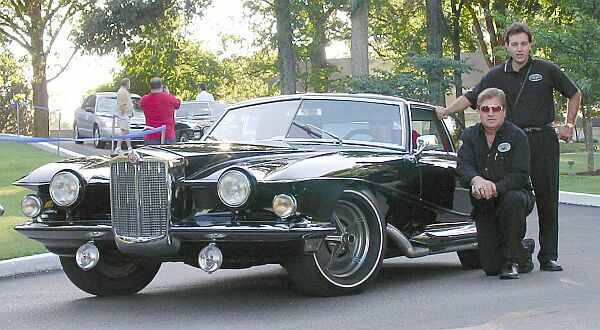 Sonny West got the chance to drive the first prototype. 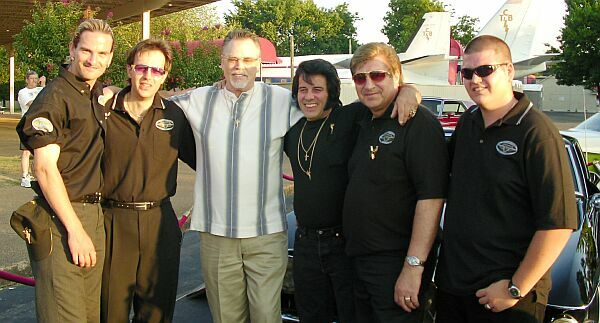 Branko's team with Sonny West, and Tony "Elvis" Grova. All these pictures are copyrighted by Branko Kavcic. Elvis, Elvis Presley etc. are registered trademarks of Elvis Presley Enterprises, Inc.